The Milwaukee Brewers improved to 4-1 in Cactus League play with a 7-6 win over the Cleveland Indians on Monday at Maryvale Baseball Park. Hernan Perez drove in his fourth and fifth runs over the last two days and catcher Jacob Nottingham homered in the victory. Junior Guerra got the start and allowed a run on three hits with a strikeout. Brent Suter, who is vying for a spot in the Brewers starting rotation, pitched a scoreless inning. Suter didn’t allow a hit and struck out a batter. Ernesto Frieri and Jon Perrin each struck out three in their innings of work. Ryan Braun made his first start of the spring and it came in left field. He singled and walked before he was removed for the day. 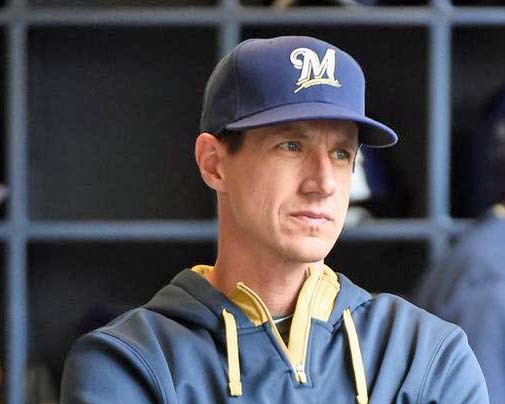 Manager Craig Counsell said earlier in the day that Braun would make his first start at first base on Wednesday when the Brewers take on the Giants. The Brewers had 11 hits in all. They’ll face the Cincinnati Reds in Cactus league action today. The Milwaukee Brewers released their 2018 Spring Training schedule on Monday. It features 33 games, including a pair of games at Minute Maid Park against the World Series Champion Houston Astros. The Brewers will open Cactus League play on Friday, Feb. 23 with split-squad games against the NL Central Division champion Chicago Cubs at Maryvale Baseball Park and the San Francisco Giants in Scottsdale. The final home game at Maryvale will be Thursday, March 22, against Kansas City. The Milwaukee Brewers split a pair of exhibition games on Monday, beating the Angels of Anaheim 4-3 and falling 3-2 to the Arizona Diamondbacks. The Brewers beat the Angels in walk-off fashion as Yadiel Rivera and Jacob Nottingham hit back-to-back homers off Angels’ reliever Deolis Guerra in the ninth inning. In the Brewers loss to the Diamondbacks, prospect Josh Hader had a solid start for Milwaukee, as he gave up one hit in three shut-out innings. 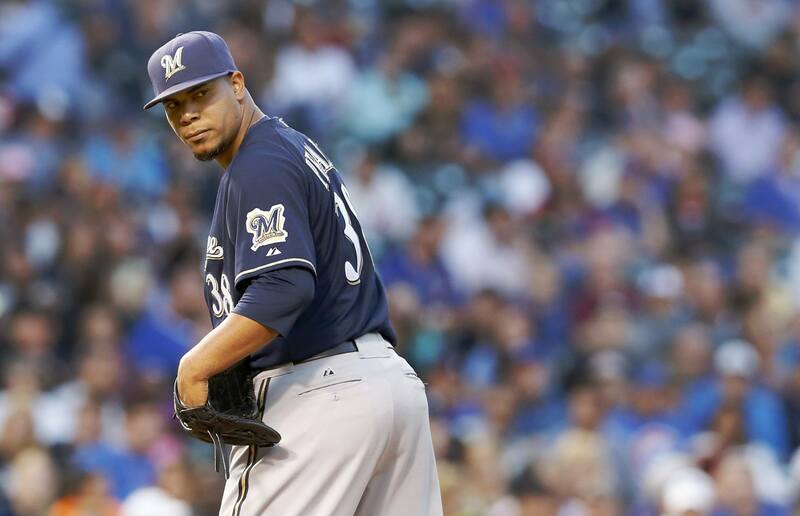 Earlier in the day, right-hander Wily Peralta was named the Brewers’ Opening Day starter against San Francisco on April 4th, something Peralta called a “dream come true”. 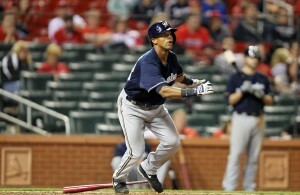 The Milwaukee Brewers continue their rebuild by sending another veteran packing for prospects. The latest to change addresses on Friday is starting leftfielder Khris Davis. He was sent to the Oakland A’s for a couple of prospects, catcher Jacob Nottingham and right-handed pitcher Bubba Derby. The move clears left field for Domingo Santana, a young budding prospect acquired by the Brewers last season in a trade with the Houston Astros. In 38 games last season, Santana saw his average fade to .231 with six homers and 18 RBI. But he is still considered a solid corner outfielder with a strong arm. Nottingham gives the Brewers a solid catching prospect in their system, something they had lacked previously. Top catcher Jonathan Lucroy will likely be traded at some point this season if not sooner. Davis hit 27 home runs for the Brewers last season, but he was a liability in left field, mostly because of his poor arm strength. The Brewers also signed right-handed reliever Blaine Boyer to a minor-league deal with an invitation to major-league camp. Boyer made 68 appearances in relief for Minnesota in 2015. He finished with a 3-6 record and a 2.49 ERA.